HIJACK > Food for your Ears > The Desk > Music Production Seminar With Optical / Break / Compa / Wedge!! 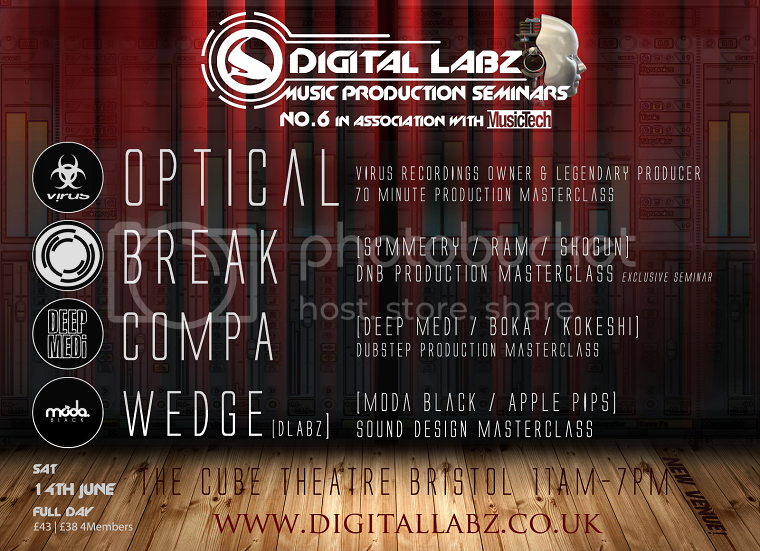 Music Production Seminar With Optical / Break / Compa / Wedge!! VIDEOS POLICY - There will be some limited footage available online in the months after the event, but we kindly ask you to PLEASE make the effort to come down in person. It's all too easy to sit online... but the atmosphere at these events it's special. . HERE'S A PREVIEW VIDEO ABOUT THE EVENT! !